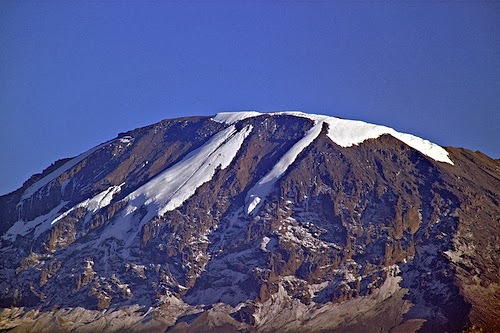 Notepad Corner: Climb Kilimanjaro: Tips for Success! Before you begin the climb you need to make sure that you’re well equipped. You should have with you all of your travel documents, essential items like your sleeping bag, a ski pole, water bottles, high altitude gear, first aid supplies, and optional items like cameras. While making sure you have everything you need, you should also try to travel as light as possible. To prepare your body for climbing this mountain, a suitable training program is required. A regular gym program to stimulate muscle development, along with some practice hikes and walks should do the trick. Many people have succeeded climbing this mountain before you, so you know that it’s possible. Always remain positive, but know that you will have to overcome some mental challenges. Travel and medical insurance will make sure you have adequate cover for this Kilimanjaro climb, giving you peace of mind. The people leading you will constantly be telling you, ‘pole, pole’, which is ‘slowly, slowly’ in Swahili! Even if you feel ok, you should slow down and enjoy the scenery around you. You could give yourself terrible altitude sickness if you climb too fast. 3-4 waters per day is highly recommended, as it’s the best medicine to fight off sickness and keep you energised. Buy water from the hotel on the first day so you have bottles to collect water from the mountain in on the rest of your trip. You’ll be on the mountain for 5-6 days, so it’s essential that you bring everything you need. You’ll need lots of clothing, and especially socks to last you through this. Pack your items individually in plastic bags, as you’ll come across numerous streams and probably experience lots of rainfall. AMS affects people who are not used to climbing at high altitudes. If not treated immediately, this illness can be lethal. Around 70% of people will suffer from this in one form or another so make sure you learn about what to expect and how to treat it for the best results. Above all else, you should make sure that you enjoy this once in a lifetime experience. By following the tips above you’ll be well prepared mentally and physically, feeling confident to take on the huge mountain and tick this experience off your bucket list. You can do it! I do all those cleaning every other day at home. Having a kid is unending cleaning. before when i have a child, the house is spotless, organized and clutter free. Now things have change, you can clean them then the next thing you know is there are clutter in other parts of the house.. i say schedule the cleaning from dusting to swiping to rearranging. I so agree on all the tips you enumerated. I'm a clean and a neat freak bordering OC (daw), my day is not complete without dusting around the house. Buti na lang, SAHW ang atsay hahaha. I have to agree with these tips...and I applied most of them! THese are very sound advice/tips and I am with you with the micro fiber cloth. I know that having small kids is not an excuse but it's hard keeping up most of the times. Thanks for sharing this ate! Maganda yung training the children to make their beds early in the morning :) It's a good training para they can grow up naman bringing that good cleaning attitude with them! Very good cleaning tips! I might as well do all these. I never ever did any major frequent cleaning. When it's executed properly, I am sure decluttering is as easy as one, two, three. Hihihi!